Warner Bros. Pictures has provided ComingSoon.net with the new poster for Christopher Nolan’s Inception, opening in conventional and IMAX theaters on July 16. The film stars Leonardo DiCaprio, Ken Watanabe, Joseph Gordon-Levitt, Marion Cotillard, Ellen Page, Tom Hardy, Cillian Murphy, Tom Berenger and Michael Caine. 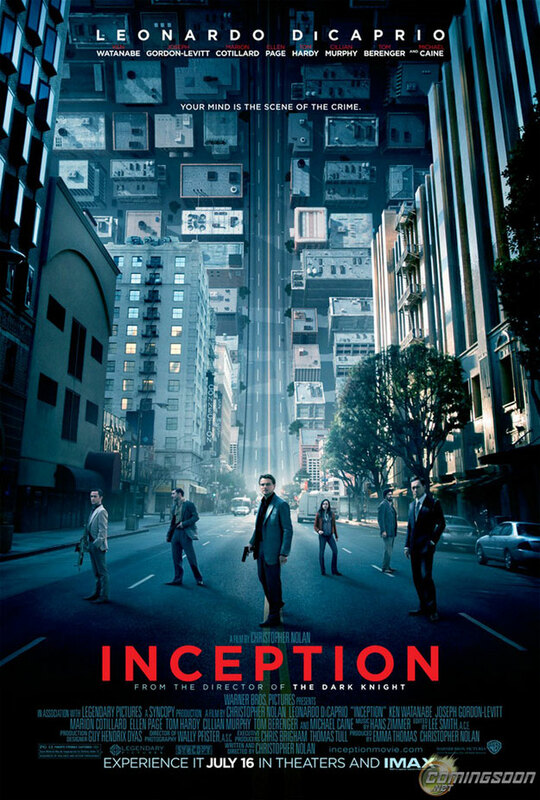 Inception is a contemporary sci-fi actioner set within the architecture of the mind. You can view a bigger version by clicking here or on the poster below!